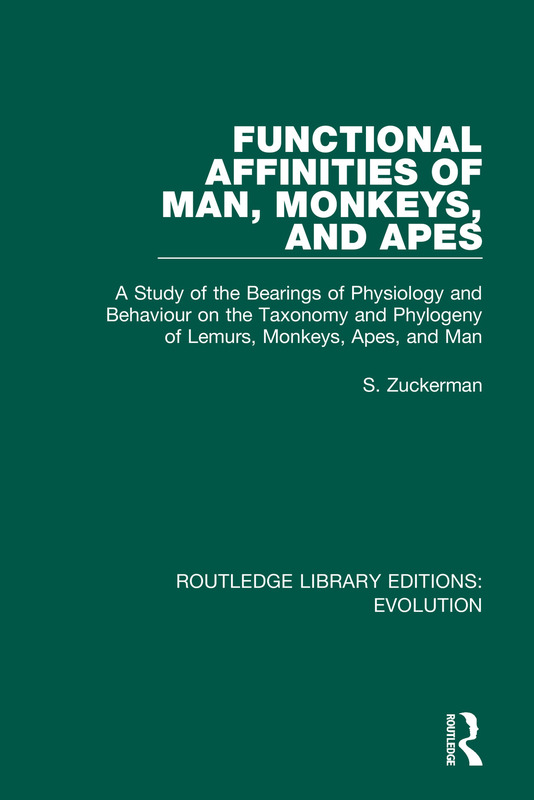 Originally published in 1933 Functional Affinities of Man, Monkeys and Apes gives a taxonomic and phylogenetic survey and the findings of diverse experimental investigations of lemurs, monkeys, and apes. The book discusses the inter-relationships of different Primates and emphasizes seldom-used approaches to the question of primate phylogeny. The book attempts to show how little they have been systematically tried, and argues for a regard to the proper place of functional investigations in the study of the classification and evolution of Primates. This book will be of interest to anthropologists, scientists and historians alike.